Over the course of the next four years, 16 million children will be born in this country and they deserve to be met with and be assured of a bright future. 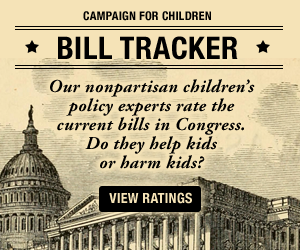 As such, the following are child- and family-focused policy recommendations that the President can follow to create a future that our children need and deserve. promoting child and family values. Within each category is a list of goals, and actions the new Administration can take to reach those goals, all of which will improve the lives of our children. To truly make America great, we must invest in our nation’s future – our children. 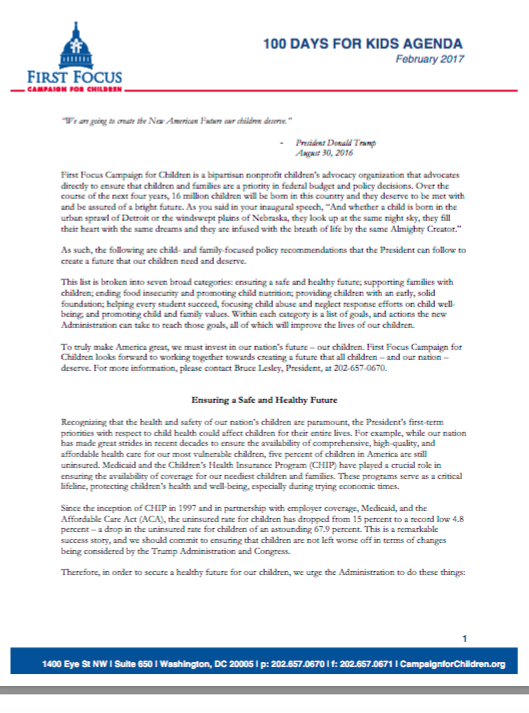 First Focus Campaign for Children looks forward to working together towards creating a future that all children – and our nation – deserve. Download the 100 Days Recommendations here.